It was once said that the world would be taken over by robots. With the enhancement of technology in today’s world it is no surprise that many peoples jobs are being taken over by technical equipment. You only need to look at a modern day supermarket to see how more and more checkouts and till points are being replaced with self service areas and now both Tesco and Waitrose have introduced a scan as you shop system, putting the role of a customer and a customer assistant into one person, cutting costs on staff and also meaning more staff can be on the shop floor replenishing stock that has been sold throughout the day. In a Chinese restaurant they have replaced human waiters with robot waiters to eventually help cut costs and outgoings. The robots cost around about £6000 each, which last for about 8hours before they need recharging and come with a five year guarantee. The robots completely take over the role of a waiter from taking the order from the customer to delivering the food when it is ready. The robots are able to travel throughout the restaurant by using an optical sensing system as well as magnetic strips along the floor. It has been said that using robot waiters will not only cut costs of hiring human staff, it will also reduce the amount of incorrect orders which are put through down to human error by human waiters. The future for restaurants holds an uncertainly of what will happen to the way that they are run. There are already a lot of self serviced pubs and restaurants where you have to go to the bar to order your food and drink and a waiter will deliver your food to you. It seems as though eventually there will be less waitors in restaurants and other food establishments and instead they will be self served or run in a different kind of way that we are used to. At Smart Restaurants we have developed an App which restaurants and takeaways can choose to have which could replace a waiter taking the customer’s order. 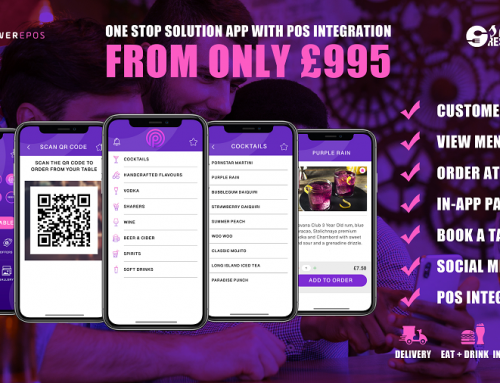 Customers can download the App for that particular restaurant or takeaway they can sit down at an available table and open up the App on their smart phone. With this they can order the food which they like, they can state what number table they are sat at and then the order will come to that table through a waiter. Customers can choose to order more food and drink through the App and when they have finished they can pay for their meal through the App. The Smart Restaurants App is perfect for restaurants, takeaways and other food establishments as there will not be a need to employ so many staff and there will be more staff available to help serve food and clean tables for other potential customers to sit at. More staff can also be involved in the food preparation for the customers. The way restaurants and other food outlets are run will change considerably in the foreseeable future. The Smart Phone seems to be the way forward so that customers can order their food themselves. They can also download the restaurant App beforehand so that they have their order ready to send as soon as they sit down at a table. This will quicken the turnover of people that dine in various restaurants. Apps are more cost efficient than robot waiters and can work just as well.